Mulch provides a beautiful contrasting curb appeal. It is amazing how new mulch will inject new life into your landscape. Mulches offer many benefits to your soil and plants. Mulch reduces the amount of water lost through evaporation by shielding the soil from the sun’s drying rays. Mulch keeps the soil cooler during the summer and acts as an insulator through the winter months. Organic matter is also added to the soil as the mulch breaks down. Increasing the soil organic matter will improve a soil’s moisture and nutrient holding capacity, structure, and drainage. Mulch also encourages the activity of beneficial soil organisms. Weed growth is suppressed by the use of a mulch as is the spread of some plant diseases. Mulched plots are also less prone to erosion. 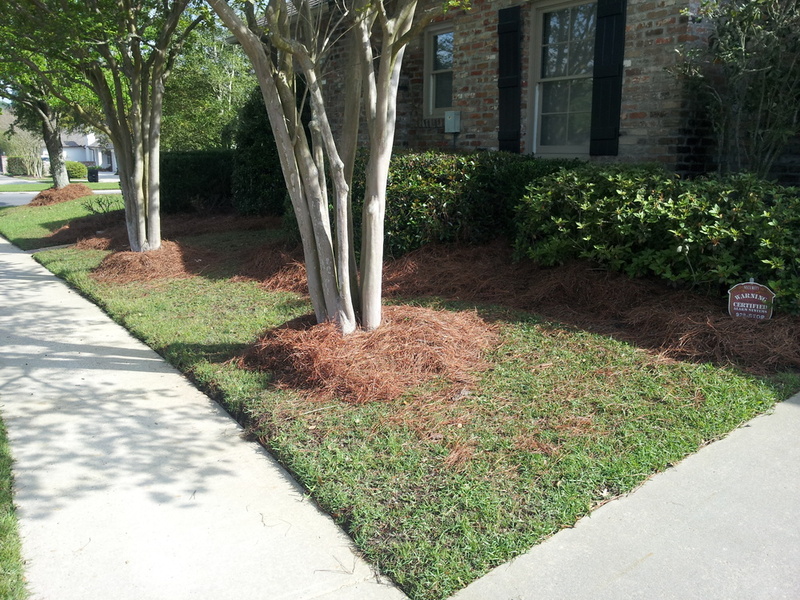 Mulching provides a beautiful contrasting curb appeal. It is amazing how new mulch will inject new life into your landscape. We are happy to provide all of your mulching needs. 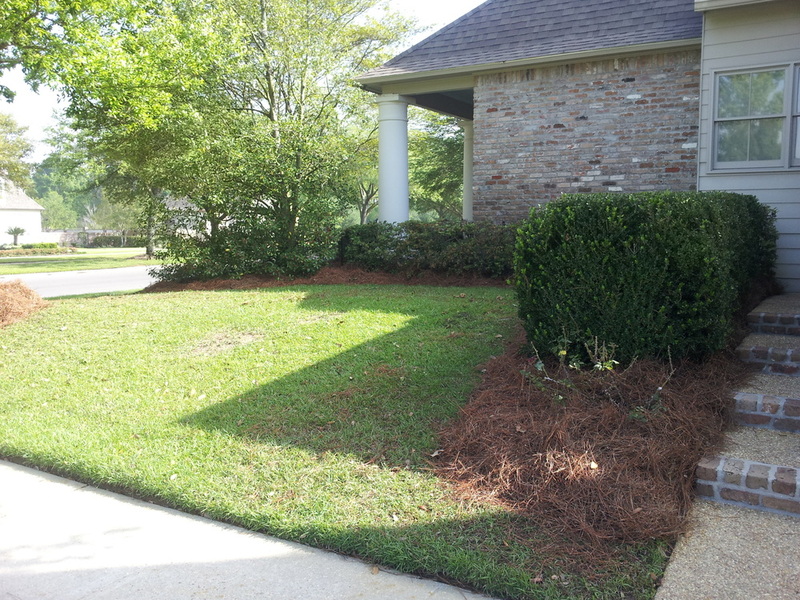 We will mulch your beds with materials derived renewable resources such as pine bark mulch or pine straw. You just can't go wrong with proper mulching. Call or click below to to get an estimate.